*This piece focuses primarily on Google, as they held 86% of global search engine market share (on the desktop) as of early 2019. With that said, many other search engines such as Bing and Baidu will reward sites for implementing the SEO best practices mentioned below. While Google’s algorithm is changed and tweaked as frequently as every day, there are periodic updates that significantly shake up Google’s search engine results. One such algorithm update happened on August 1 of 2018 in what has been termed the “Medic Update”. As Google’s algorithm updates can take weeks or even months to take full effect, it’s safe to say that the Medic update is one of the primary guides for SEO in 2019. However, it’s not the only one. While some of the keys below relate directly to the Medic Update, others simply emphasize SEO best practices. What Did The Medic Update Affect? Google’s Medic Update mainly affected sites termed Your Money, Your Life (YMYL) sites. YMYL sites are financial, legal, healthcare or transaction-based sites that have the potential to significantly harm users if the information on these sites is of poor quality or false. So, think a computer science website that all the sudden start posting advice about inpatient rehab. Alternatively, imagine a fringe investment firm that doles out advice telling individuals to liquidate their 401Ks and invest in timeshares. In other words? Google wants to help users understand that “just because it’s on the internet doesn’t mean it’s true”. See where we’re going with this? To avert users getting low quality information with potentially high consequences, Google’s new update aims to highlight websites with higher E-A-T (expertise, authority & trustworthiness) scores. E-A-T is Google’s attempt to essentially “grade” sources which offer readers information that would normally merit paying to speak with a licensed professional in the legal, financial or healthcare space. That includes blogs, too. To put it simply, Google wants to make sure you’re qualified in your field. How do you become qualified in Google’s eyes? By improving your E-A-T score. While this seems obvious, it extends to things like click-bait headlines and offers that require users to “act within the next 10 minutes!” Google understands companies that employ these tactics are looking for quick sales and often provide poor quality products and customer service. 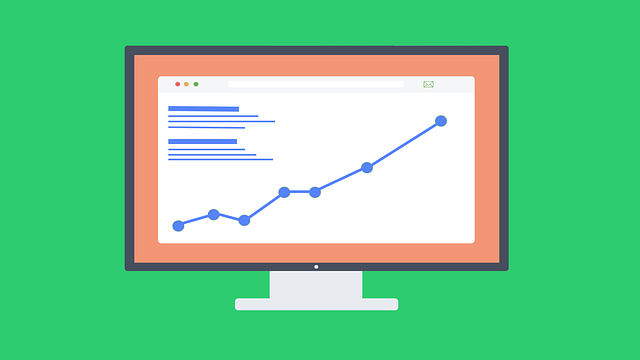 Search engines want to provide their users with the most up-to-date information available, and frequently maintained sites indicate they’re providing users with just that. This particularly applies to blog posts and news, as the most recent information is almost always the most accurate. What Does Frequent Site Maintenance Look Like? All websites have an HTTP header which communicates basic information to search engines. One component of this HTTP header is called the “if modified since” header, and it informs search engines when the page was last modified. While this doesn’t apply to pages such as your home page or “About Us”, this does apply to things like your blog page and product inventory pages. Updating these pages frequently shows search engines you’re keeping things up to date. They want to make sure, for example, users searching for advice on smartphone care won’t get blog pieces about the first and second generation iPhones. HTTPS (hypertext transfer protocol secure) is a more secure website than traditional HTTP websites. If you’re confused, look up at the URL bar on this page. See the “https” in the address bar? That means the site uses the HTTPS protocol. Since 2014, search engines like Google have regarded HTTPS as a ranking signal and websites that implement HTTPS get more of a bump in search engine results than sites which do not use HTTPS. This applies even more so to transaction-based websites, such as e-commerce. It is far easier for hackers to get your credit card and other sensitive information from an HTTP encrypted website as opposed to HTTPS. Search engines place a high value on organizations that respond rapidly to user questions. Many sites have implemented chatbots on their sites to improve their customer service response time and to offload simpler customer service questions to bots. Responding within 24 hours to customer inquires via e-mail shows search engines you’re highly engaged in customer service, and they will likely reward you for that. This is the most important change in 2019 for SEO if you run a YMYL site. Posts on your site must be by authoritative authors that have experience writing on the topic and that do not write about a wide range of topics. Why? Search engines want to make sure YMYL sites give their users accurate information. How Do Authors Gain Authority In The Eyes Of Search Engines? Many authors now include a link to their previous works in the byline of their author biography. Search engines follow this and see links to various other posts by the author. If search engines see this author consistently writes posts about financial advice that have high engagement rates, search engines will reward the author for writing financial pieces by ranking that content higher. If the author suddenly publishes a piece on inpatient rehab with no previous experience on the topic, the piece will likely get buried in the search results as punishment for what search engines view as unreliable information. What Does This Mean For New Authors? If you’re just starting out in a field and have not published previous works on a topic, you won’t be punished for your lack of existing content. However, pieces on similar topics by authors with histories of writing on those topics will likely be displayed above you in search results. Search engines reward websites that make it effortless to contact them. This means putting your e-mail and phone number in the footer of your website and even displaying it prominently on your home page. The reasoning here is simple; if a website hides their contact information, search engines infer they are potentially engaging in shady business practices by avoiding conversation with users. Moreover, users who have to hunt down contact info will likely be frustrated and give up on the endeavor altogether. Search engines also want you to clearly convey to users what you will do with their data if you take it. For instance, when users sign up for your e-mail newsletter or complete a transaction, you are taking users’ sensitive data. By clearly detailing to users exactly how you will use their information, it ensures you’re not selling their data and further builds user trust, which search engines like. Ultimately, you want to follow Google’s Quality Raters’ Guidelines (QRGs), which is essentially the Google algorithm translated to human speak. It provides you with everything you need to know about creating the optimal user experience and what Google uses to determine a site’s E-A-T score. How Do We Know The QRGs Are Important In 2019? Just before the Google Medic Update was released on August 1, Google updated the QRGs on July 20. Coincidence? We think not. Outside of building your E-A-T score, there are a few other factors that are essential for SEO in 2019. Structured data is easier than ever to implement nowadays, especially if you’re running a WordPress site. Structured data essentially conveys details to search engines about site specifics such as who the organization is, what kind of organization it is and helps search engines better understand which social media accounts are associated with the organization. Structured data allows you to directly communicate to search engines who you are and what your piece is about. Because search engines want to give their users exactly what they’re searching for, using structured data gives search engines more confidence regarding exactly what your piece is about, and therefore they are more confident that your piece is exactly what users are searching for. And with only 24% of websites utilizing Google’s preferred form of structured data, JSON-LD, you have the chance to get the leg up on your competition by implementing it! It’s no secret that Google wants sites to be fast. Now that Google has implemented mobile-first indexing, it’s more important than ever that your mobile site is fast and lightweight, especially if users are surfing your site using their mobile data. Wondering how to do that? Check out AMP (accelerated mobile pages), which focuses on lightning fast mobile pages that are lightweight and allow users to interact with the page as quickly as possible once they’ve entered it. If you use WordPress, it is easier than ever to create AMP pages using AMP plugins. With the advent of smart speakers, the use of voice search around the world is exploding. How do you optimize for it? By optimizing for conversation. Users don’t simply say, “Alexa: coffee”. They say, “Hey Alexa, what’s the best coffee shop in Capital Hill (Seattle)?” Optimizing for voice search means optimizing for the long-tail keyword like “coffee shops in Capital Hill”. While this means getting creative, it also means a more optimal user experience, which search engines will reward you for.